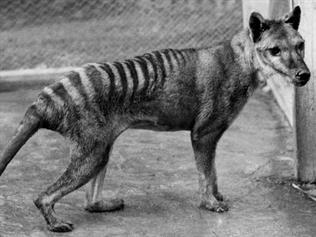 Pannell Discussions » 295 – What is a threatened species worth? » Ideas in economics, environment, policy and more. Posted on 26 September, 2016 by David Pannell. This entry was posted in Economics, Environment, Latest, Policy. Does anyone actually validate the results of estimations of the non-market values of assets? It is one thing to ask Joe Public what they would be prepared to pay to preserve/conserve/manage a threatened species/ecosystem, but until payment is requested, the estimated value is hypothetical. I can accept methods such as choice modelling where two or more options are presented, but to use such methodology to estimate value under a do something/do nothing scenario would seem to be rife with speculation. Things get even worse where the outcome of the proposed actions/expenditure is not guaranteed (and how many wildlife managers could guarantee that a threatened species will still be around as a result of their actions?). Good question. Yes, there is a huge literature, with lots of clever people worrying about validity, testing approaches and trying to develop improved methods. It’s a really active area of research. Yes, hypothetical bias is an issue, but not as serious an issue as you might expect (tested by asking people to actually pay what they said they would be willing to pay). It is certainly true that surveys are imperfect tools. Humans are so complex and changeable, sometimes biased, sometimes limited in their capacities, and always prone to be influenced by the way a question is asked, that one always has to treat survey results as indicative, rather than precise. That’s an unavoidable reality. Finally, having done numerous analyses of environmental projects where I was trying to include ecological information and values, my observation is that the information about values is usually better quality than the information about the likely ecological impacts of the potential management options. But it’s not a matter of leaving either of them out. They are both essential for good decision making.